Engine Knocking; Time for Engine Overhaul? Thread Title changed to best describe the subject problem and advice being sought; for ease of future searches on the subject by the users. 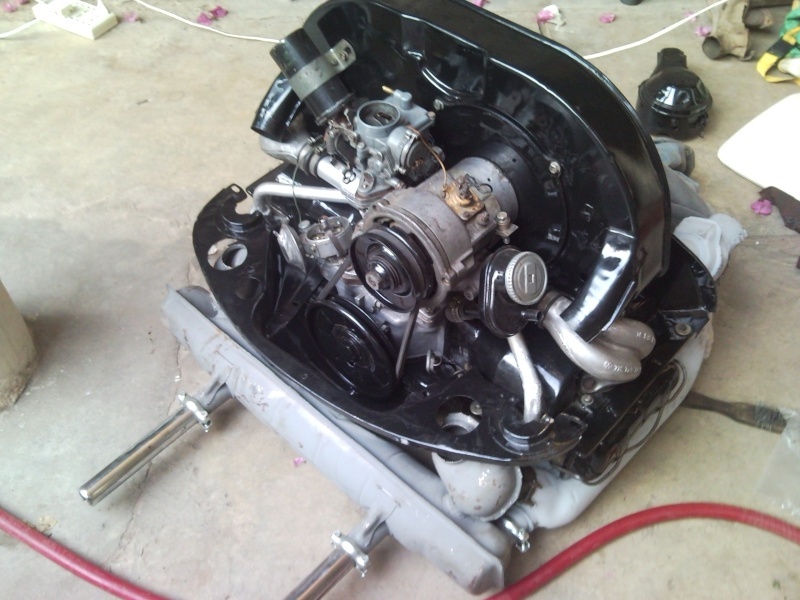 I am planning to refurb my car's engine for which planning to order some parts. Although my car's engine is normal with very good throttle and pick, but issue is that it makes knocking sound. Which according to some mechanics is due to play in the crank. Rest engine sound is with that whistle plus that knocks. What parts will I require like pistons, rings, bikens etc? how will I know the size number? Do you think that I should open the engine for this sound only? @sibghat, in order to seek good advice relating to engines, it is highly recommended to first give full description of the engine you're running, for instance 1300cc SP/DP etc. and any additional info that you might think would be helpful for others to answer your engine related query in best possible manner, such as if the motor runs on Petrol or CNG etc. Assuming that yours is a 1300cc SP (coming from a 1966 bug?) please mention if your engine runs on Petrol or CNG or both? It would give us a fair idea on what to advice. Regarding what size of parts to buy, it is only possible to know the exact size/condition of internal parts on a motor, once its opened up. You may or may not require, Pistons/Rings/Big End bearings etc. depending on the condition your motor turns out to be. Thats one clean engine right there! Guessing, the carb looks to be 30PICT? Play in the crank is one possible cause of knocking beside other reasons that are there, such as inappropriate octane rating (read milawat wala) fuel and or motor running hot. Yes, even when the motor runs hot, it tends to KNOCK when gas is fed. I would suggest, as a first diagnoistic, please ensure that all engine bay seals are there and are in good shape, manifold is de-clogged with heat riser pipe all cleaned out. If that doesn't help, try and change your fuel station and see if that reduced the enging knocking. If sealing engine bay and changing fuel station doesn't help then let us know and we'll see if there is something more that we could do before simply suggesting to open up the motor. Opening up an engine should be last resort with others alternatives all sorted out. Subject: Re: Engine Knocking; Time for Engine Overhaul?